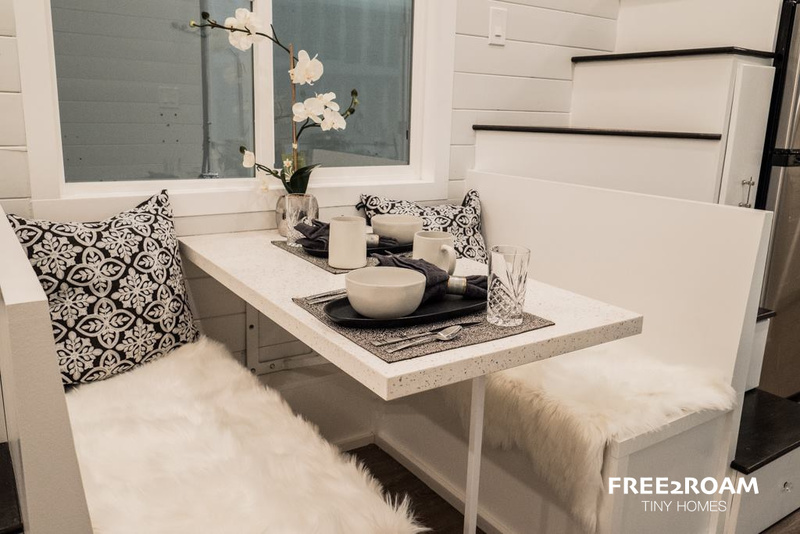 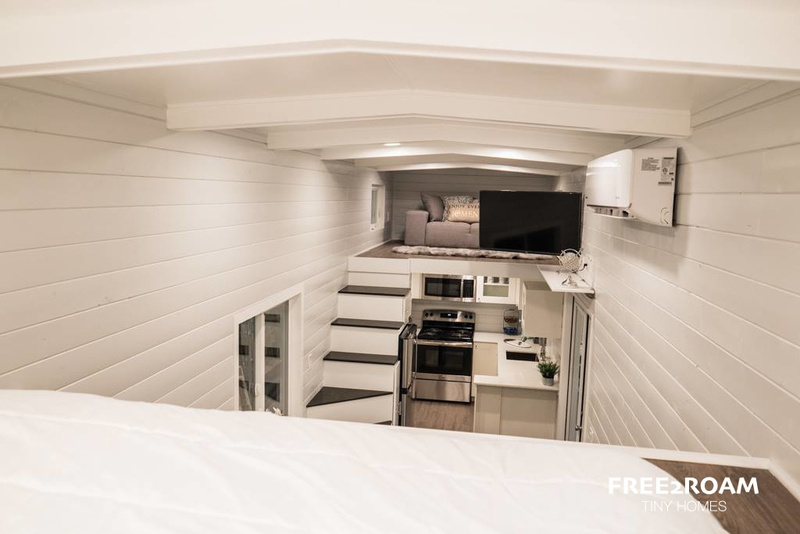 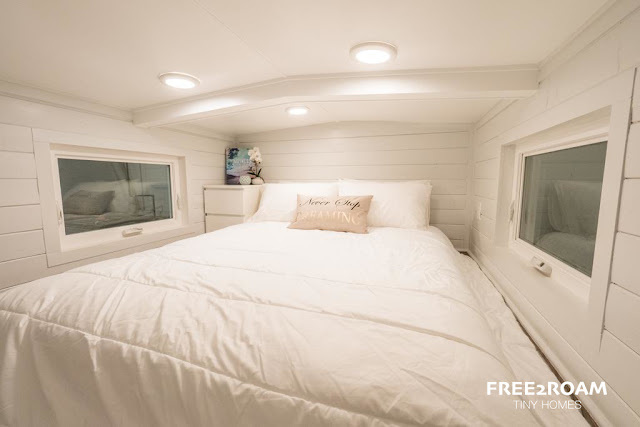 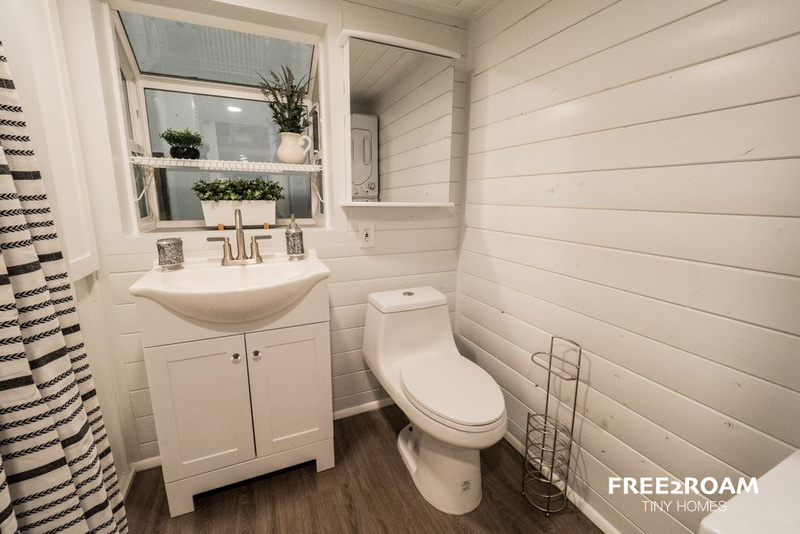 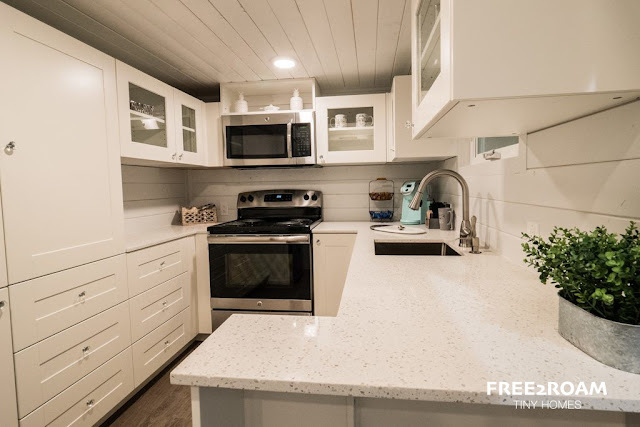 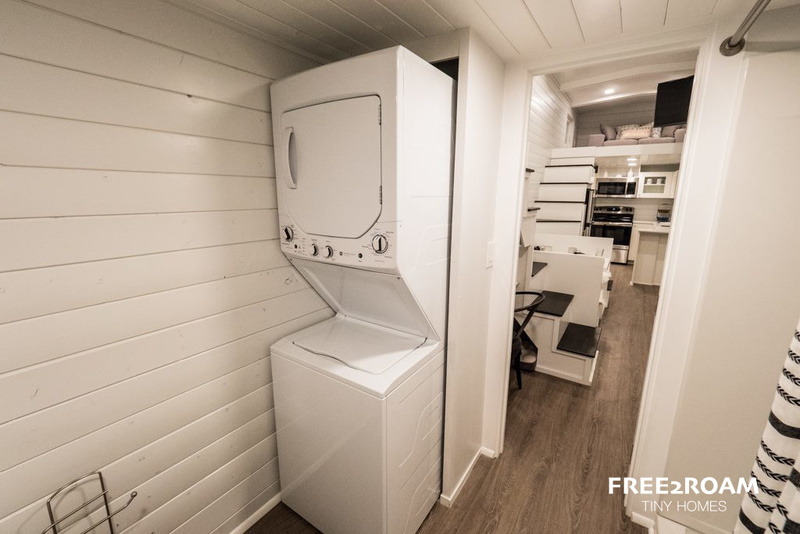 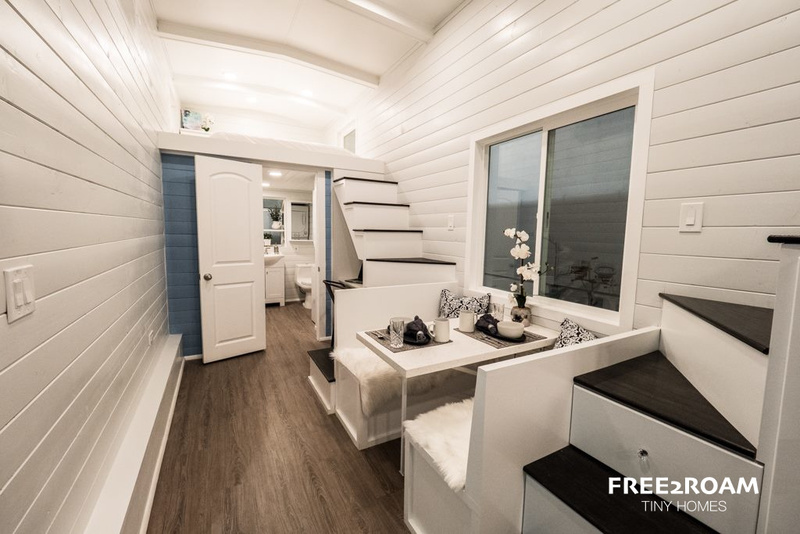 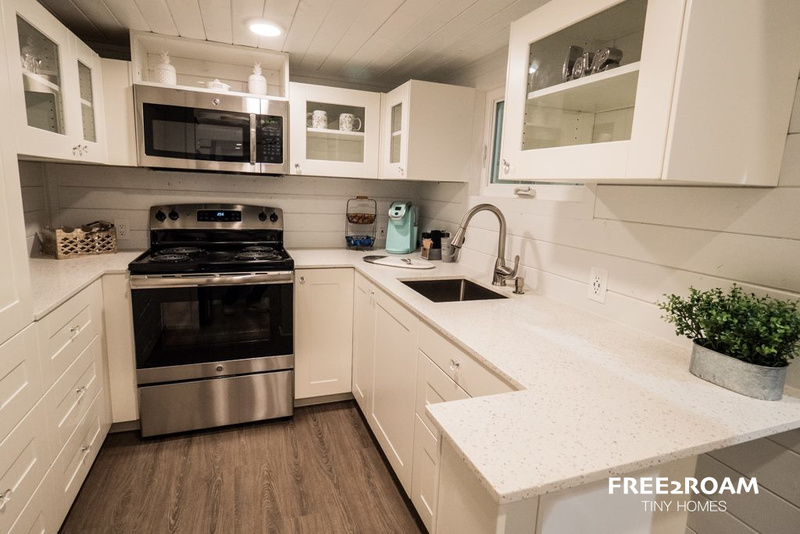 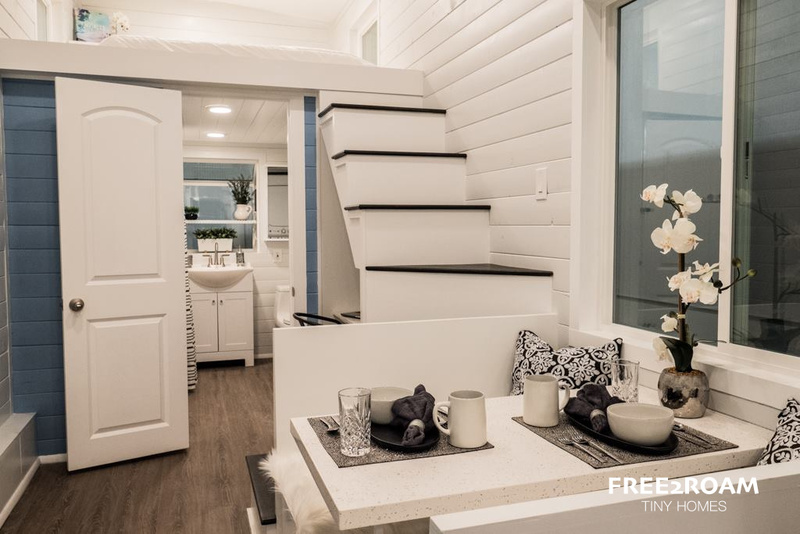 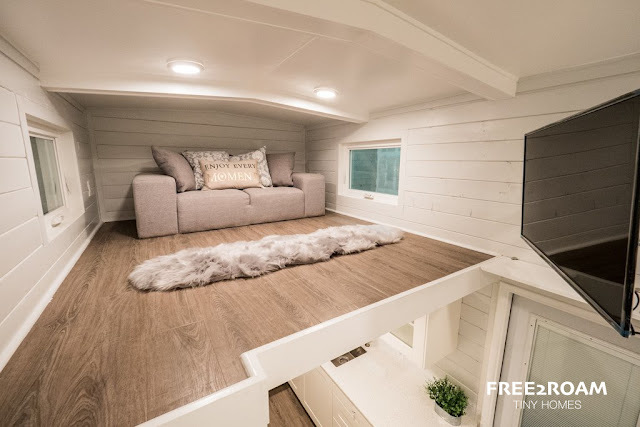 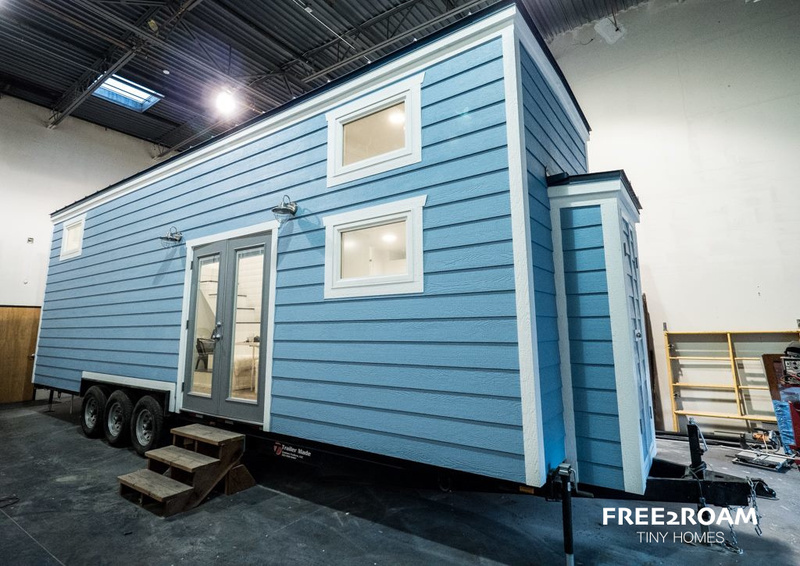 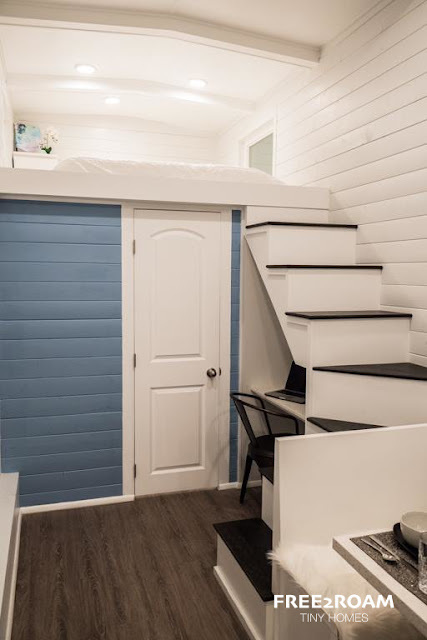 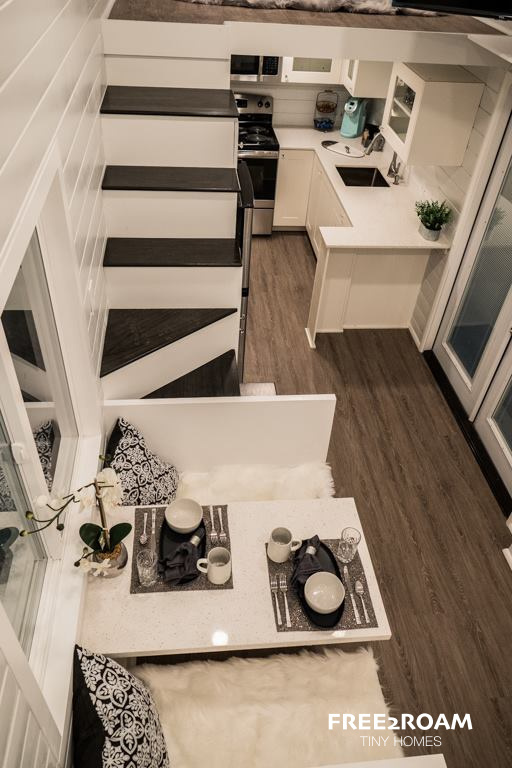 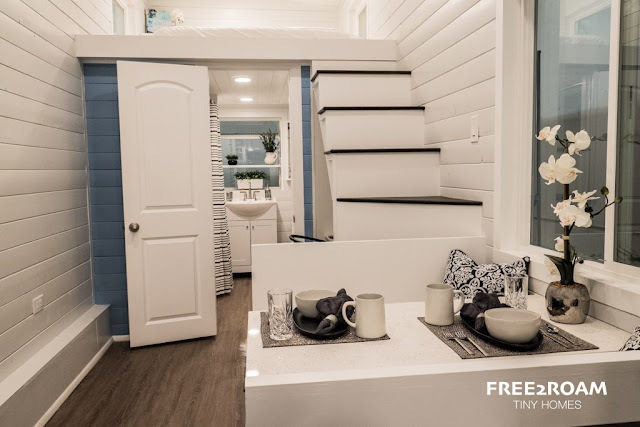 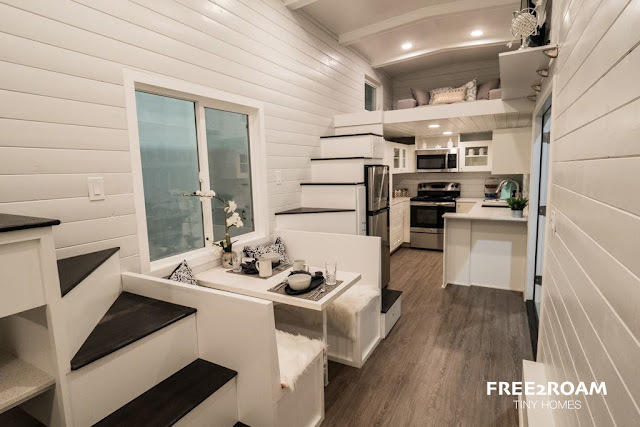 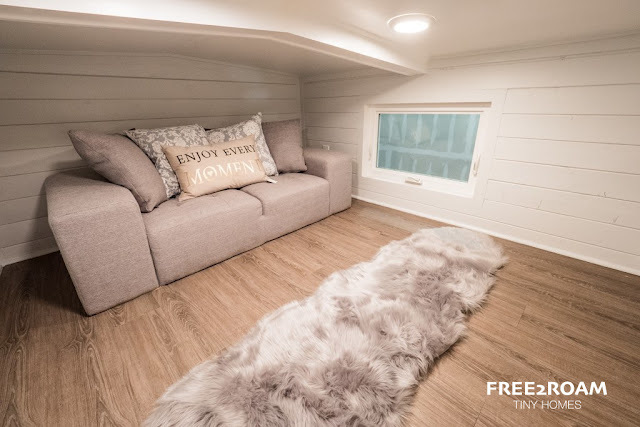 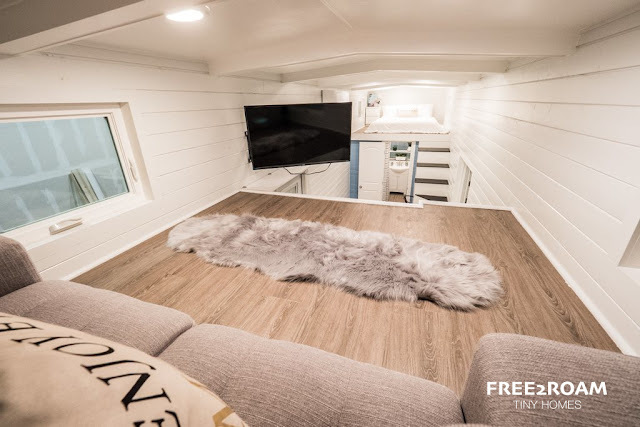 From Free 2 Roam Tiny Homes is this custom bright and cozy tiny house. 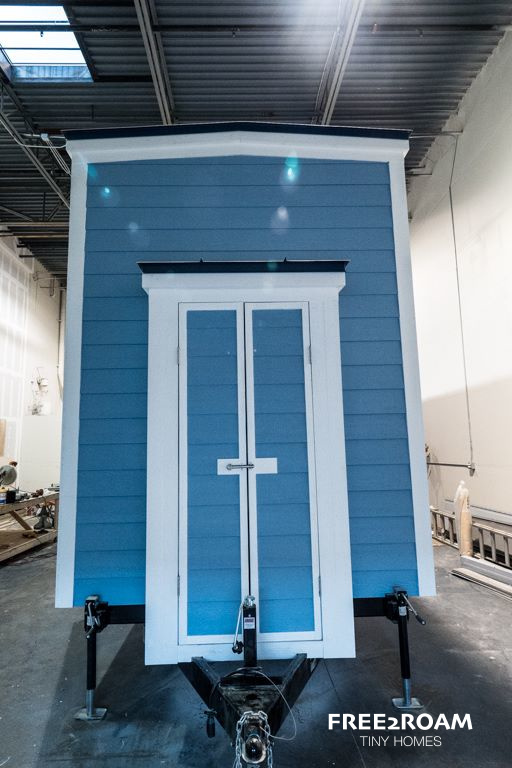 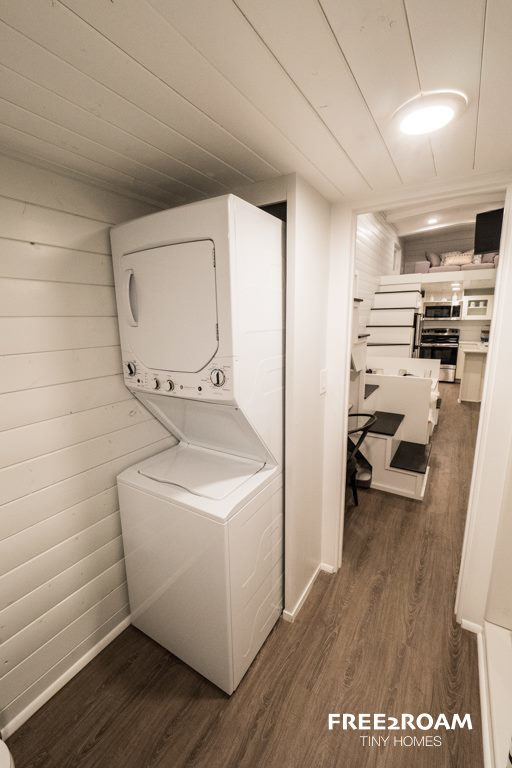 Measuring 32' x 8'6", the home has a relatively roomy interior, as far as tiny houses go, with a size of 480 sq ft! 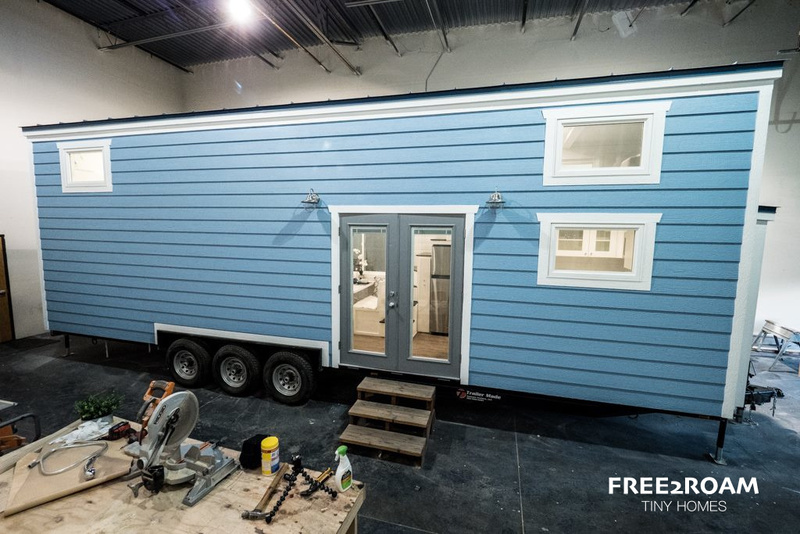 Named the "Hekkert Hideaway", it's a custom home that will be available for display at the Maricopa County Home Show next month in Arizona. 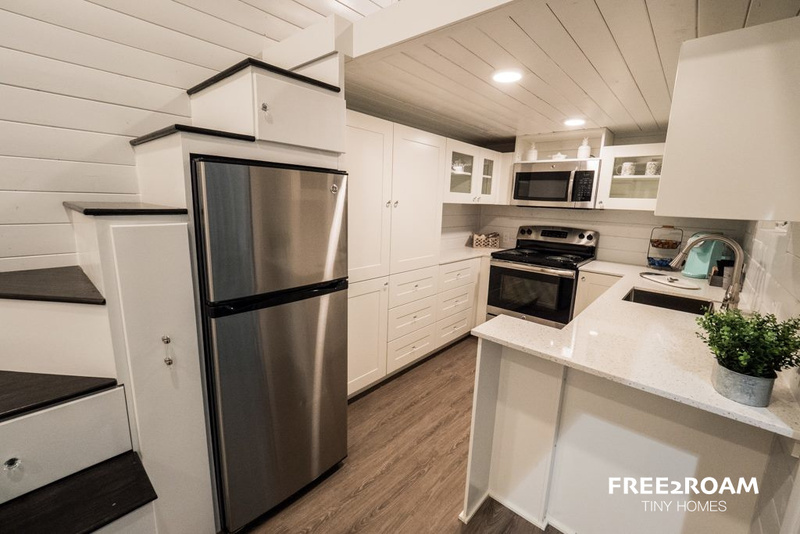 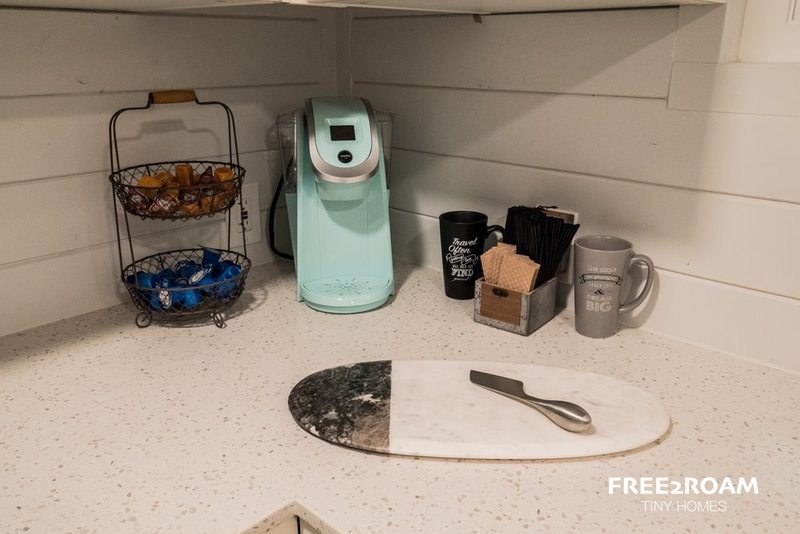 The ground floor features a full kitchen with stainless steel appliances, including a full-sized stove and oven, a microwave, and fridge. 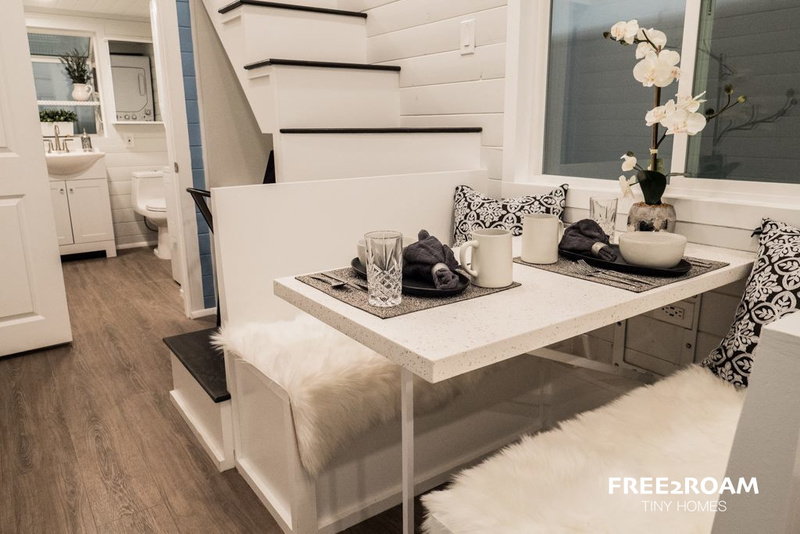 One of the best features of the home is a dining booth, wedged between the home's two staircases. 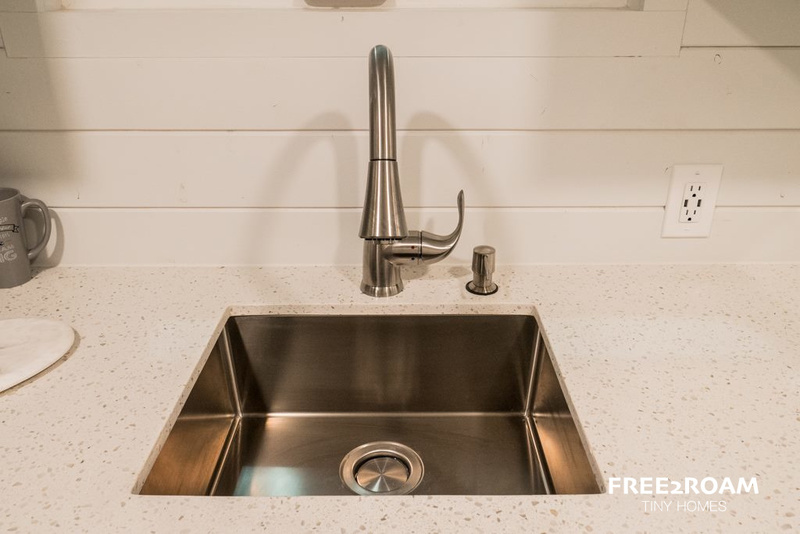 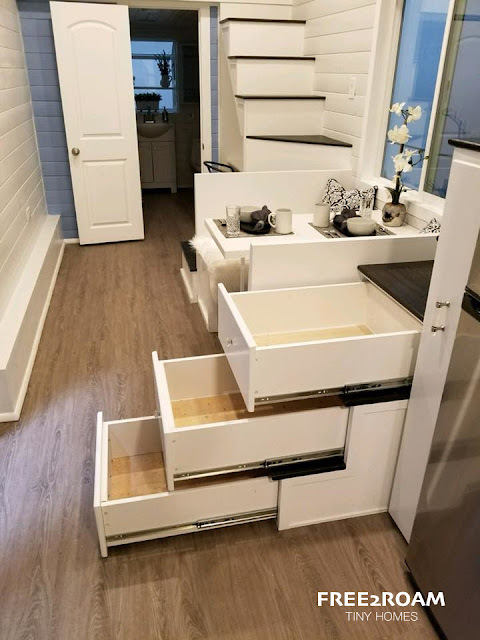 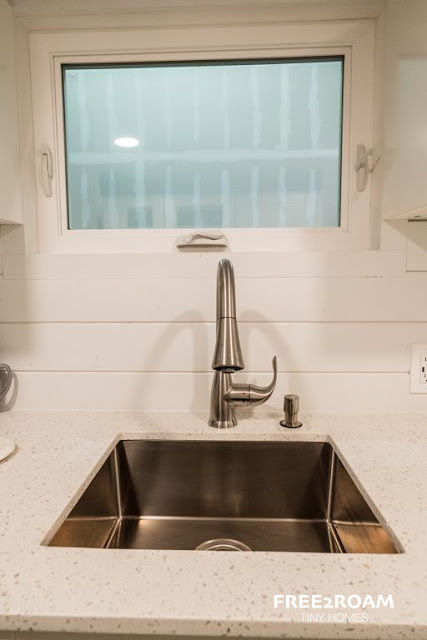 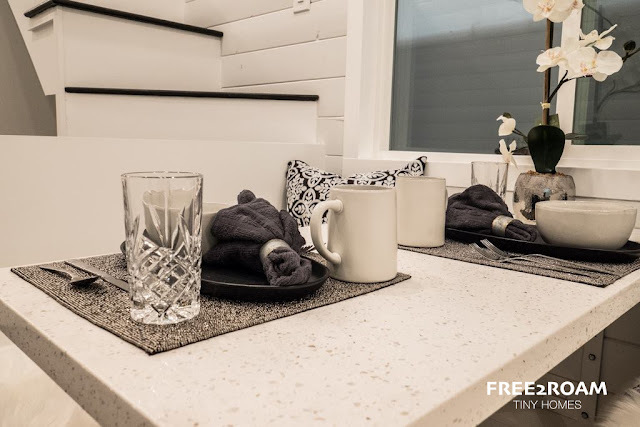 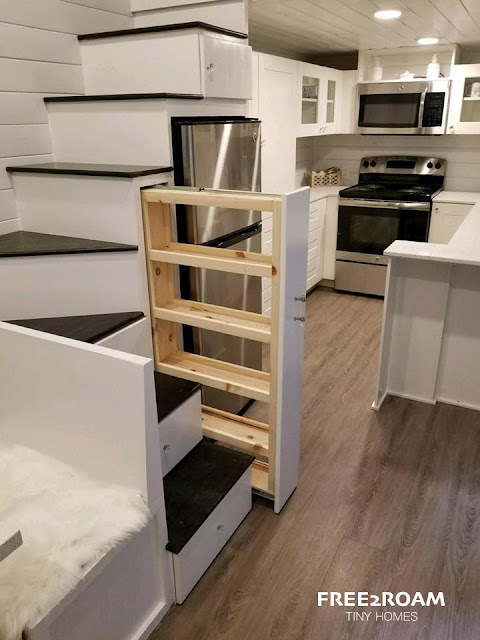 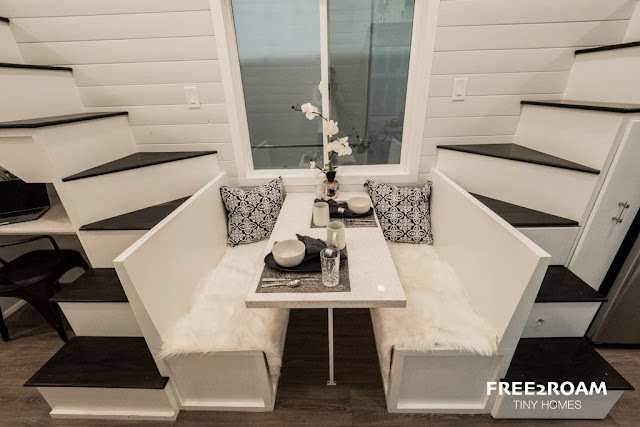 The booth comes with two storage benches, an outlet, and has a large window right next to it so the home's new owners can enjoy a nice view with their meals. Another special feature of the Hekkert Hideaway is a small workspace, located right under one of the home's staircases. 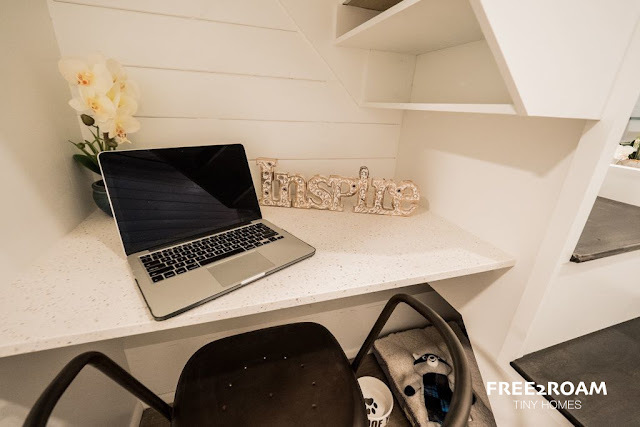 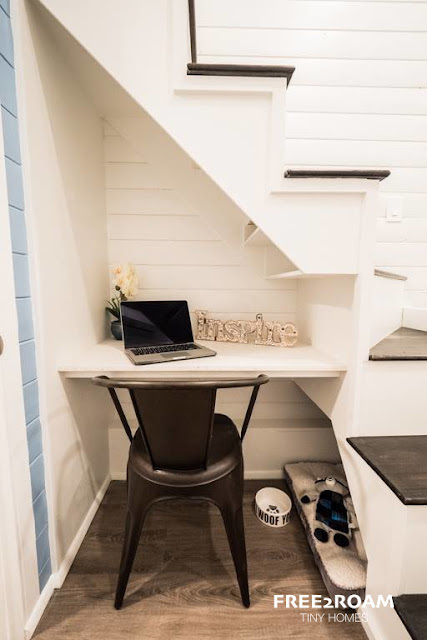 Since the home's owners have dogs, Free 2 Roam also included a small hideaway for the resident pooches right next to the desk so they could be close to their loved ones. 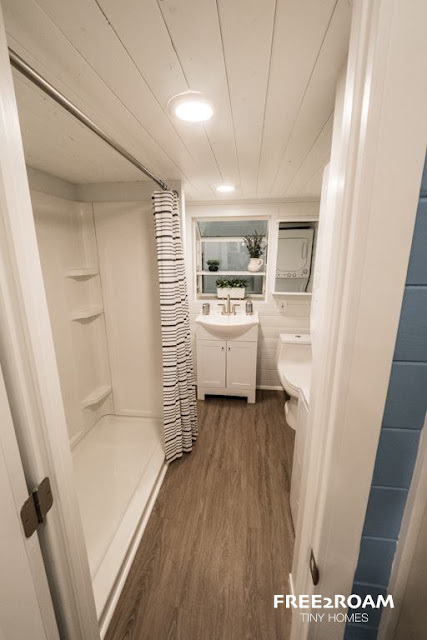 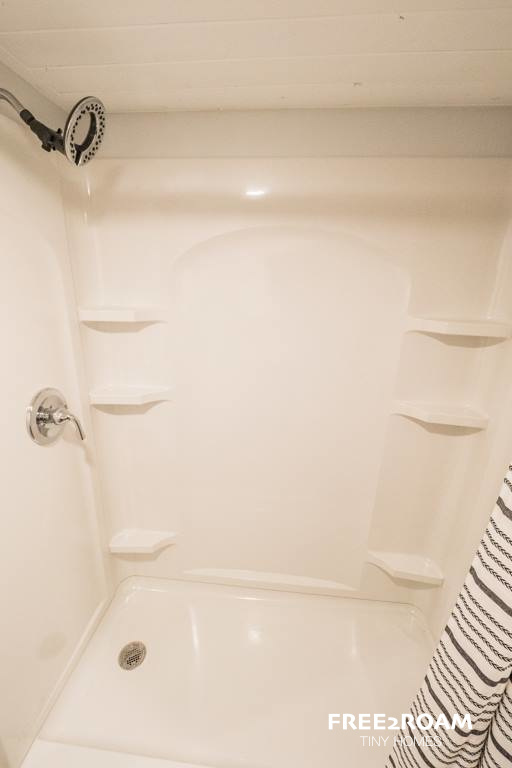 The bathroom of the home comes with a dual-flush toilet, a spacious shower, and a closet next to the sink. 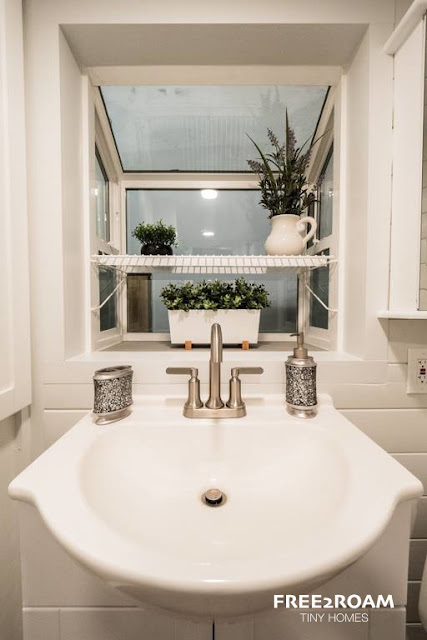 There's even a garden window which allows the home's owners to maintain a garden right from inside their house! Also included in the Hekkert Hideaway are two loft spaces. 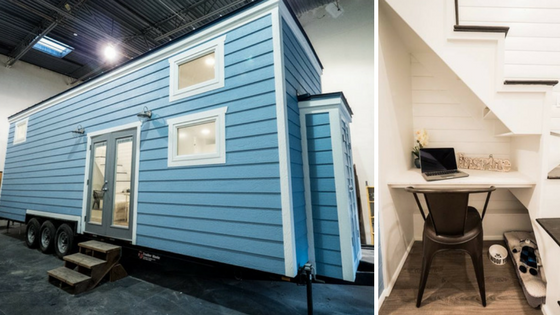 One functions as the home's master bedroom, and the other serves as the home's living room space. 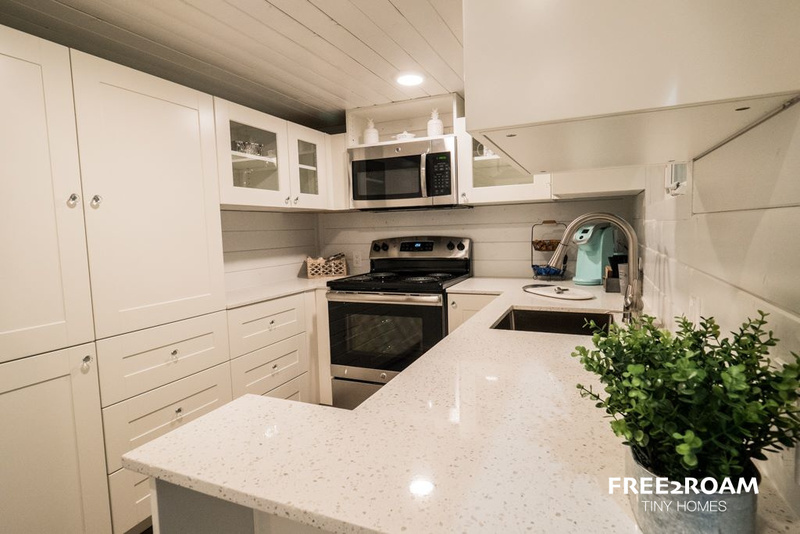 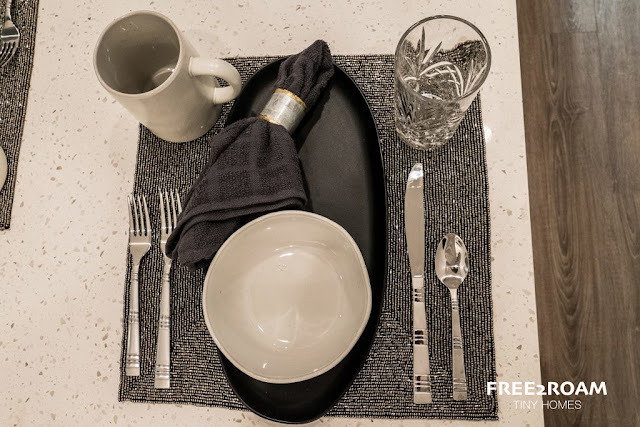 For any further information and/or inquires about this home, feel free to reach out to Free2Roam here! 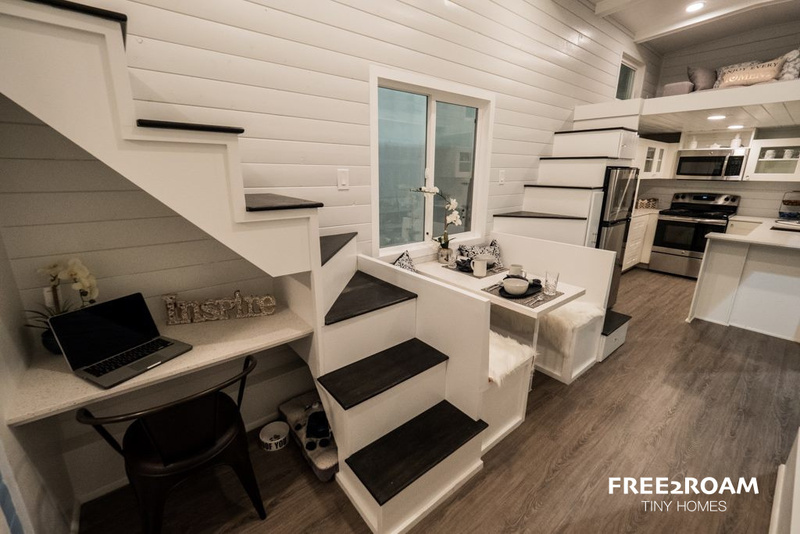 Also be sure to check out the Luxury Double Loft, also from Free2Roam, here!